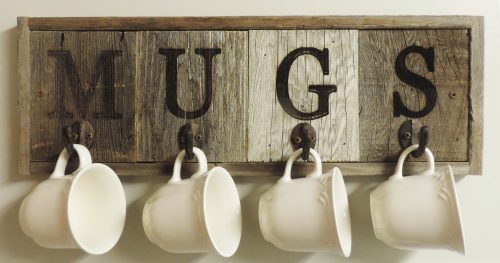 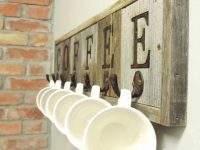 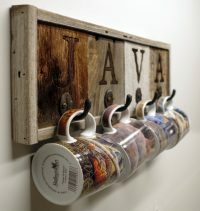 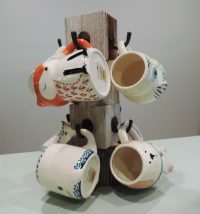 Introducing the brand new All Barn Wood Reclaimed Wood Mug Rack. 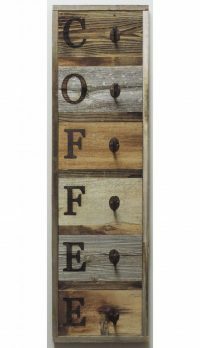 Dimensions approximately 21.5″ X 7.25″. 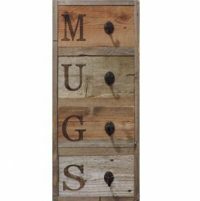 Fits up to 4 4.25″ tall mugs. Easily attaches to wall with included screws. 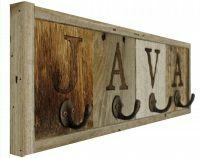 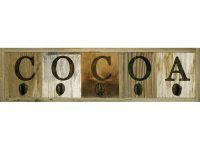 Made of natural reclaimed wood, osb, and cast iron hooks. 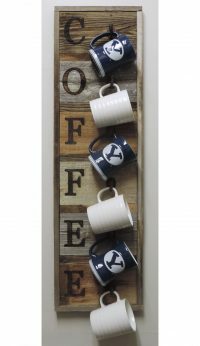 Glued, nailed, screwed, and sealed by Reclaimed Wood Artisans in Utah. 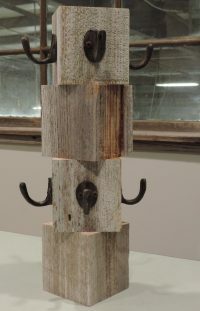 Colors of natural barn wood will vary from light gray to brown. 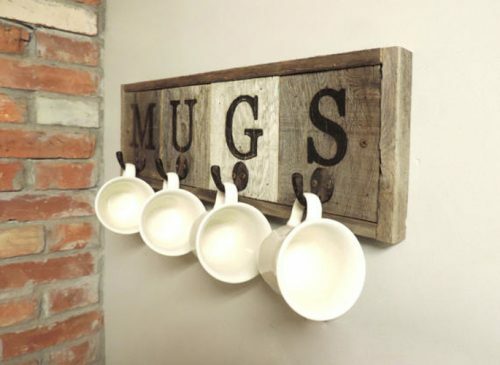 Mugs not included.